Using medical cart computers is good for patients, good for nursing staff, good for doctors, and good for administrators who need accurate records to manage patient transfers, billing, and more. Medical cart computers provide multiple advantages for both patients and health care personnel. The features outshine those of early medical computers on wheels, and the advanced technology streamlines patient care, no matter where the patient is located in the hospital or care center. Benefits apply not only to the patients themselves, but anyone handling and deriving treatment knowledge from the data. With all-in-one computers, doctors and nurses will have access to the information they need at all times, resulting in less mistakes and higher productivity for each shift. There is no running back and forth looking for patient records or folders – all the data is stored by the patient’s bedside in a portable format that can be taken from room to room as needed. Possibly the most attractive benefit of the medical cart computer is the advantageous hot swapped battery system, which allows batteries to be exchanged without the unit powering down. These built in swappable batteries offer a more affordable option that traditional medical cart batteries, which are large, heavy, expensive and take longer to charge. Each all-in-one unit comes with 3 batteries, meaning that the computer can run continuously covering entire shifts, never going down and causing interruption of patient care or loss of data.The 3 batteries cover about 16 hours of operation , and every shift can start with fresh batteries. The cart never has to be taken to another location for charging – the batteries are simply removed and charged while a fresh battery is installed to continue operation. This provides for superior service at the point of care. The time saved by always being able to depend on the medical cart computer being powered up and accessible is vast – and patient care is made that much more accurate with all the data at each caretaker’s fingertips. With data capability at the patient’s side, any relevant records, test results, or doctor notes can be reviewed on the spot. Allergies can be cross referenced, and medication contraindications checked for. With Electronic Health Records rapidly supplanting older, traditional forms of data storage, having portable, high tech medical cart computers for every hospital room is is a huge advantage for patient care in an increasingly digital age. 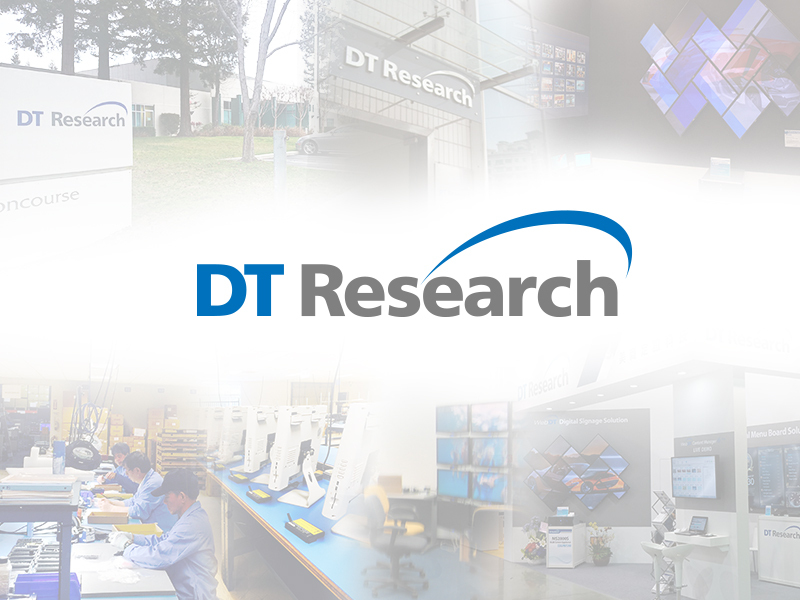 DT Research, Inc. was founded in the cradle of Silicon Valley in 1995 by a group of forward thinking engineers and by 1998, had become the technical pioneer of the decade in mobile systems. Today, with their engineering teams, production sites, technical support systems, and distribution channels across the world, DT Research has expanded its offerings to include information appliances designed for almost every major vertical market. DT Research teams are present in key locations across the globe, working together to create compelling products that stretch the boundaries of innovation. Our software/hardware integration expertise, visionary design team, and practical engineering process allow us to implement technological advances rapidly, taking products from start to finish inside our company then delivering them to the world. Our engineering teams in California and Asia take each concept and develop it, seeking ways to enhance each product beyond the specifications of the end user. Long life cycles eliminate constant technology refresh and retraining of IT staff. Each product we create is designed to be secure and reliable for long term support. After parts are manufactured by our in-house team, each product is assembled to order, rigorously tested for capacity and resilience, and customized to meet the end user’s specific needs. Considering customer feedback, our engineers integrate continuous improvements on track with the latest technology advances to create systems that target projects in specific applications. DT Research offers cost effective, deployment-ready products to a range of vertical markets worldwide, including government and military, healthcare, transportation, logistics, manufacturing, retail, hospitality, and finance. By combining fully integrated hardware options with robust software, users can more efficiently store, transfer, and collect data for increased productivity. Additionally, using our intuitive device management software, administrators can maintain and update multiple systems locally or remotely via secure networks. DT Research is the proven partner for purpose-built computing and digital signage solutions. 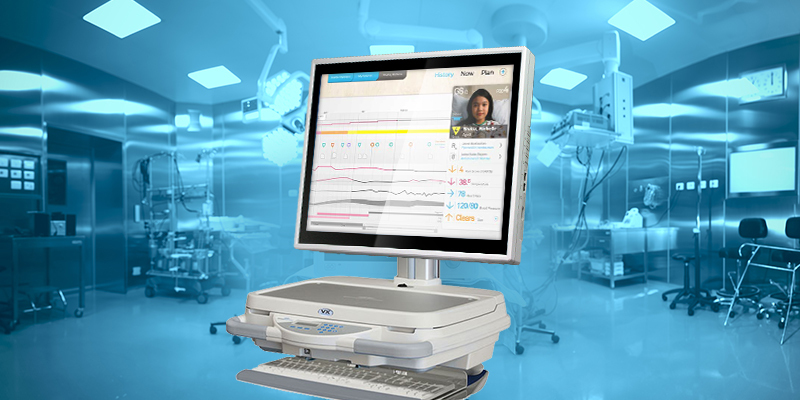 Whether you need a rugged tablet for extreme conditions or a medical computer solution to streamline patient care, we have the technology and the experience to deliver the ideal product to meet your needs.